The other day I went to visit my local herb lady and we were talking about Essential Oils. She told me that she has this system that can focus just on which Essential Oils would be right for me if I wanted to try it. Usually she uses this tool to see if a customer is lacking a specific vitamin or nutrient. But she's also able to set it up to focus on specific things like Essential Oils, for example. I figured WHY NOT...she rain the test which was basically me standing there for 5 minutes with my hand on this device you see here. She then provided me 2 print outs. One was the Product Assessment Results and the other was the description of the Essential Oils based on my Assessment. My results showed that I had 34 Biomarkers out of range. Of those 34...16 of them could be brought back into range by using Patchouli, 7 of them brought back with Pink Grapefruit, 6 with Pine Needle, 2 with a Massage Oil, 1 with Core Balancing Blend, and 1 with Lemon grass. She explained to me that these Biomarkers were just areas in which I could focus on improving for my overall wellness. I took into account that it's 'that time of the month' and that I have been dealing with pain issues as of late. She told me that these ranges could change daily and they are just based on my current energy. I've read online that a lot of people think ZYTO devices are "who-E" but I've also heard some positives, too! I figure because I was just focusing on which Essential Oils could benefit me it couldn't hurt. After I found out that 16 of the 34 could be brought back by the use of Patchouli I was thrilled. I will be focusing on that for a while. She said that she wouldn't even worry about the others. Patchouli is the big one and Pink Grapefruit and Pine Needle are ones to assist. Patchouli isn't the cheapest essential oil that is for sure. My herb lady has 3 different brands to choose from that vary in price from about 22 to 28 bucks. I have found a few online for around 14 bucks but I want to make sure it's of good quality if it's the most important one for me. One of the 3 she offers is organic and put thru over 200 quality assurance tests. If I don't go with that one I might do the one other brand because I have used some of their stuff before, too! I'm thinking PAIN is my "BIG THING" at the moment and it doesn't help that it is really getting cold where I live, too! OYE. Very interesting, looking forward to hearing more on how these work for you. And I hope the pain gets better soon! Thanks! I still need to get the patchouli! Hopefully soon, tho! A good massage may help...or acupuncture? I really hope your pain starts easing up. And you're right, the freezing cold rarely helps with pain. 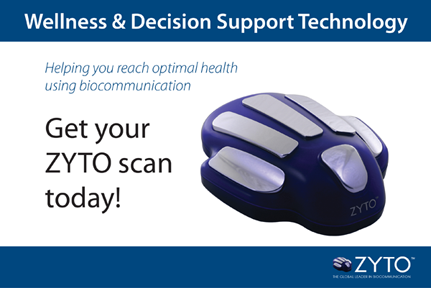 I'm very interested in hearing about how the oils help, and I'm interested in the Zyto scan, I've never heard of it. Thanks! I have a few different carrier oils to work with and am expanding my essential oil collection as often as I can! I hope to post more soon! Certified organic Patchouli Oil from one of the industry leaders in wholesale essential oils. Buy Patchouli Oil in bulk and save with Organic Infusions. Organic Patchouli oil is magnificent for skin ailments as well as hair deficiencies.